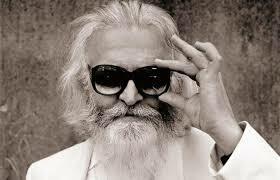 Little problems, says Paddy McAloon, arise to put a kink in your day. The mid-50s lead everything of Prefab Sprout knows what he’s talking about, and if it wasn't for the fact that great music is still being made, then you would direct an unsightly and admonishing finger towards the Gods for having the nerve to encumber McAloon with not one but two sensory afflictions: severe tinnitus and detached retinas. Proceed quietly in a solitary manner? Now there’s a modus operandi for artists to take note of. When you’re as admired a songwriter as McAloon, however, whatever way works for him is good for us. For some, Prefab Sprout might just be an obscure band with a silly name from the 80s, but fans have stuck with the sophisticated pop albums from that decade (including Swoon, Steve McQueen), the 90s (including Jordan: the Comeback, Andromeda Heights) and the Noughties (Let’s Change the World with Music), smug in the knowledge that they backed a winner. Fans also backed a maverick, albeit one whose musical and lyrical motifs referenced Sondheim and Bacharach instead of the prevailing 80s moods of Morrissey, Weller and Costello. And so between lengthy gaps from album to album - as well as the news that McAloon’s health issues had effectively sequestered him in his home studios in the North of England - fans could do what fans could only do: resign themselves to bouts of respectful thumb-twiddling until McAloon felt like striking again. All songwriters have their habitual topics and narrative motifs, and while McAloon could arguably be termed a post-feminist songwriter (“The 70s manner of writing about lust and love was done in a very bravado-like way, but whether by temperament or genetic design, I always found that to be fake - or you had to be Led Zeppelin, who could always pull that kind of thing off.”) he could just as easily be congratulated for daring to be anti-cliché. Tellingly, he says he doesn’t share much of his time for contemporary pop music. The implication is that, as both former acclaimed pop star and consistently praised songwriter, McAloon knows all of the tricks. The inference, meanwhile, is that pop music is fundamentally no more and no less than the shuffling around of a few elements with similar chord changes, and coming up with lyrical themes that don’t stray too far from either romance or disappointment.